Distributed Application Architecture for Edge-Based Service Delivery — This feels like one of those things that feels a long way away now but may rapidly become a key part of how we build and deploy apps. The European Telecommunications Standards Institute (ETSI) has created a working group around “Multiaccess Edge Computing” (MEC) and released this white paper on the concept. Is “edge” the next buzzword in web service delivery? PDF: An Overview of AWS Lambda Security — AWS has released a whitepaper that looks at its Lambda serverless platform ‘through a security lens’ and is aimed at CIOs and analysts. It’s pretty high level but provides a good overview and reassures that Lambda is compliant with all of the most significant security standards (e.g. PCI DSS, HIPAA). 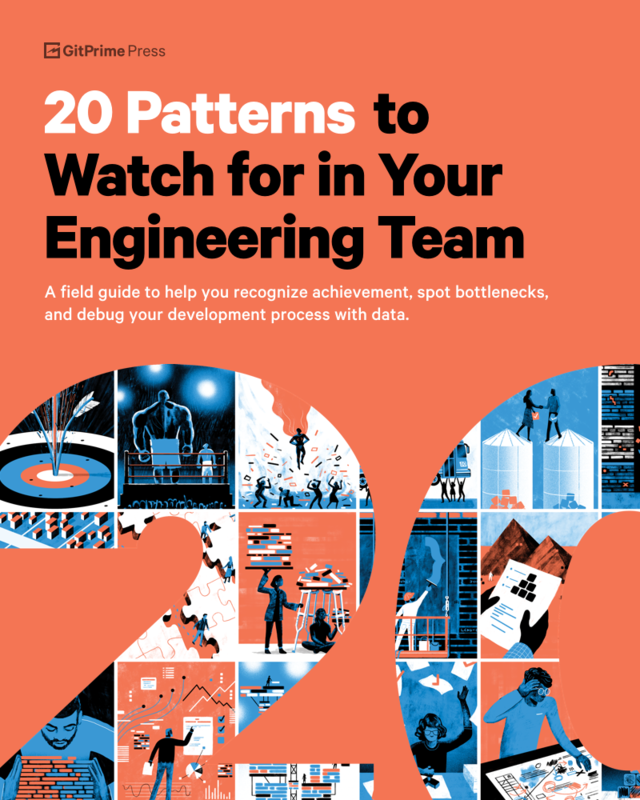 20 Patterns to Watch for in Engineering Teams — GitPrime's new book draws together some of the most common software team dynamics, observed in working with hundreds of enterprise engineering organizations. Actionable insights to help you debug your development process with data. Get Your Copy. Serverless DNS Over HTTPS (DoH) at the Edge — This is quite platform specific (it uses StackPath’s EdgeEngine which lets you execute serverless functions at edge locations) but it’s a neat walkthrough of something not usually done serverlessly. In related news, Mozilla are pushing ahead with rolling out DNS over HTTPS support in Firefox. Amazon Fulfillment Now Entirely Migrated Away from Oracle to AWS — This follows a rather lengthy period of drama between the two tech giants. What’s Amazon using now? AWS Aurora Postgres and DynamoDB. Chef Goes Fully Open Source, Ish.. — Automation tool vendor Chef is going 100% Apache 2.0 licensed, moving away from its previous “open core” model. The FAQs outline the situation. Site Reliability Engineer @ Ably (UK Remote or London) — Join the team behind a global fault-tolerant serverless data stream platform and automate our Internet-scale infrastructure with code. Implementing API Billing with Stripe — This goes into more detail than you might expect. How Twitch Addresses Scalability and Authentication — Curious how Twitch addresses scalability and performance challenges related to authentication? This is a very basic look. DevOps is an Evolving Culture, Not a Team — An interesting critique of the current state of “devops” and what it really means. PHP 8 To Add a JIT — "To introduce a JIT is to introduce considerable complexity." So it's going to take a while..
docker-image-size-limit: A Tool to Keep Tabs on Your Docker Image Size — There’s also a basic introductory blog post. h2t: HTTP Hardening Tool — A tool that scans a Web site and suggests HTTP security headers to apply. graphql-rest-proxy: Turn Your REST APIs into GraphQL — Certainly an interesting idea. The proxy/server is Express based (Node.js) under the hood so it’s easy to tinker with. Cloudflare Introduces Warp: A New VPN for Mobile — Warp is a VPN but aimed at users who don’t know or care what a VPN is. It uses Cloudflare’s vast global array of data centers to speed up and make mobile connections more secure. New Advanced Request Routing Options for AWS Application Load Balancers — You can now write rules and route traffic based on the HTTP headers and methods of your choice, query strings, and the source IP address. AWS App Mesh Is Now Generally Available — App Mesh is a service mesh that provides app level networking to make it easy for services to communicate with each other across services like Fargate, EC2, ECS, and EKS.